Team OG had quite an interesting year in esports, making over $11 Million from one single tournament alone. That tournament was the 2018 Dota International tournament which was also the largest prize pool in esports history. What’s also interesting about team OG, is that their only other source of revenue was Super Smash Brothers, from which they only earned them $3,670.82 dollars. What’s even more fascinating is that they were the highest paid esports team of 2018, off of one tournament. The next highest grossing team of 2018 was Team Liquid, who pulled in just $7,002,311.71. While that is still an insane number, Team OG made $4 million MORE than team liquid, while participating in 255 less tournaments. That really puts into perspective just how big the 2018 Dota International tournament really was. 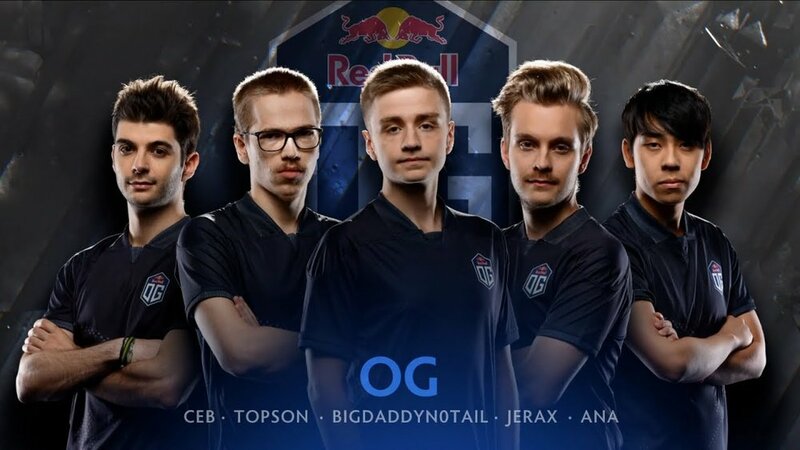 To top all of this off, Team OG was the definitive underdog of the tournament, needing three new members just two weeks before the qualifiers began after Tal "Fly" Aizik, Gustav "s4" Magnusson, and Roman "Resolut1on" left the team in May of 2018. The team quickly signed Topias "Topson" Taavitsainen, who was a newcomer and had never performed at a a major LAN event before, Anathan "ana" Pham, a former member of the team who had taken a year long break after the 2017 International, and Sébastien "Ceb" Debs, who had previously served as the teams coach. Their win also broke the historical trend of Chinese teams winning the International in previous years. Now we’re going to look back at what is the largest esports event to date- ‘The International’, an annual competitive DOTA 2 Championship which had an astounding $25,532,177 prize pool, generated entirely through crowdfunding via the games ‘battle pass’ feature. This was the largest prize pool in the history of esports, and showed the world that esports truly does have a place in the sports world. The event pulled in a staggering 15 million+ unique viewers. The tournament included not only player’s competing for the prize pool, but also included events such as a cosplay and submitted short film contest that each also had individual prize pools, along with two demonstrations of players fighting against A.I (A.K.A Computer controlled bots.) to test the capability of machine learning. While the A.I lost both games, its creators of the A.I looked at the event as a helpful tool to help them fine tune their A.I for future games. Tournaments like this one do a great job at showing off just how much esports is growing, and how much it is going to grow in the coming years. Swedish Delight is a pro melee player on Team OG from New Jersey, who is widely considered to be one of the top players in the U.S and is ranked number 1 on the New Jersey Melee Power Rankings, 13th on the 2018 MPGR, and was formerly ranked second on the NYC Metropolitan Area Melee Power Rankings. He is a Sheik main who solidified his professional status at EVO 2014, in which he defeated s0ft and Lucien in the losers quarterfinals pool after losing to JAVI, before being knocked out by aMSa. Through 2015 and 2016 he continued ranking high at numerous majors and defeating many top tier players. By late 2016 he was consistently placing in the top 12 at many major tournaments including CEO 2016 (9th) EVO 2016 (9th) Shine 2016 (5th), as well as The Big House (9th). At EVO 2018, he became the first player since 2012 that was not in the top 8 to beat Armada, the best player in the world at the time.